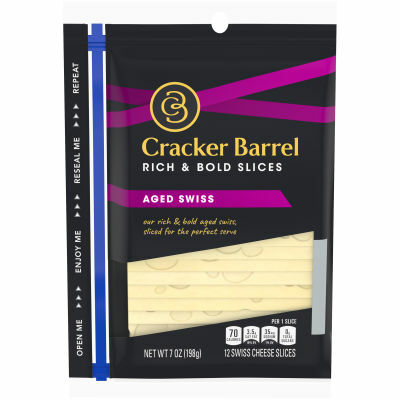 Cracker Barrel Aged Swiss cheese slices are nutty & slightly sweet with a balanced, bold flavor. The deliciously different taste of Cracker Barrel cheese will keep you coming back for more. Serving size 1 slice (17g).